And for a limited time, get a Free System and Free Professional Installation! TruTouch through TruVista delivers a revolutionary security, monitoring and automation system that provides control over your home's security and more. 24 X 7 Local Security Monitoring of your home. Remote arming and disarming capabilities from any Internet-connected device. Live video access into your home. Full-color 4.7" touchscreen simplifies operation with graphics and menu-driven prompts. Icons and words are large, clear and easy-to-read. And, there are two dedicated keys for easy access to the home screen and emergency functions. We monitor your home 24/7 from our local monitoring station. Battery backup and cellular backup features built into your system add extra layers of security if a power or broadband outage occurs. 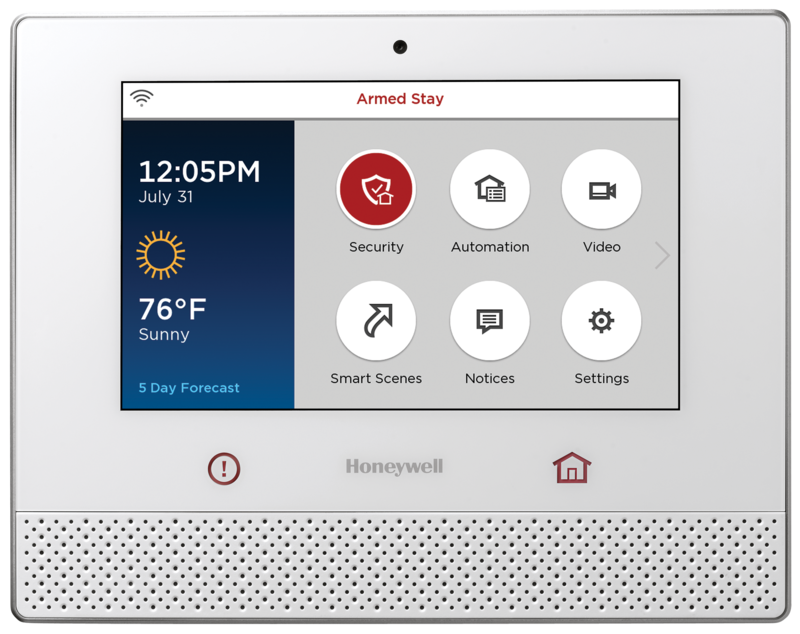 You can view video right on the full-color touchscreen1 or anywhere on premises on your smartphones, tablets and other WiFi® enabled devices—a great way to keep an eye on your family and home! Our LYRIC Connect App2 lets you use your WiFi enabled iOS or Android™ devices for easy, on-premises system control and video viewing. 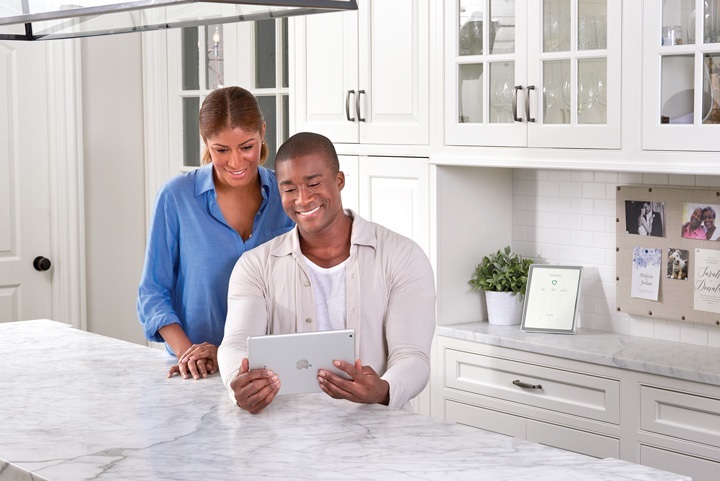 You can control and automate your thermostats, garage doors, lights, locks and water valves directly at the LYRIC Touch display, around your home via WiFi enabled devices or remotely when using TruVista Total Connect™ Remote Services. You can even set scenes, use the sunrise/sunset feature or randomize lights for a lived-in look while you’re away! View up to six live video feeds from inside or outside your home. Set your camera to record at certain times or when triggered by an event, then save them to view later. 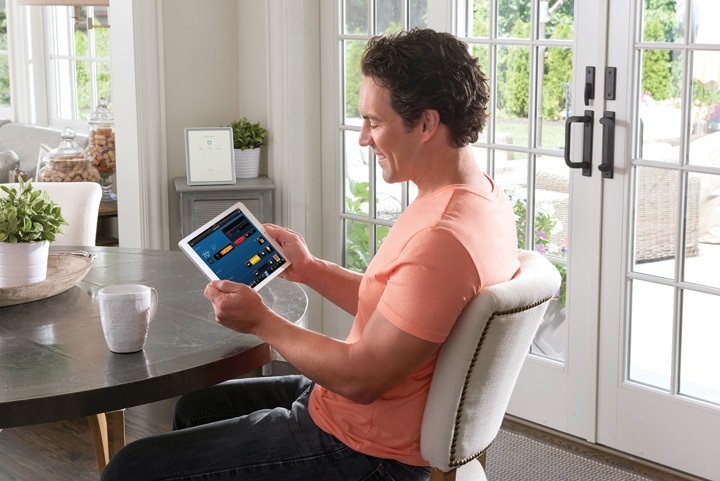 Control your home's lighting and small appliances all from the touch of a button. Set your lights and check to make sure small appliances are turned off. Control up to three garage doors3 and know whether they’re opened or closed right from the touchscreen, on your mobile devices or remotely with TruVista Total Connect. You can close the door if it is left open accidentally, schedule it to close after a specified period of time or at a certain time every night. You can even arm the system when the garage door is open—helping to avoid false alarms. The optional two-way voice feature lets central station operators listen in and talk to you when an alarm signal is received4—ensuring that the proper response personnel can be dispatched to your home should the need arise. 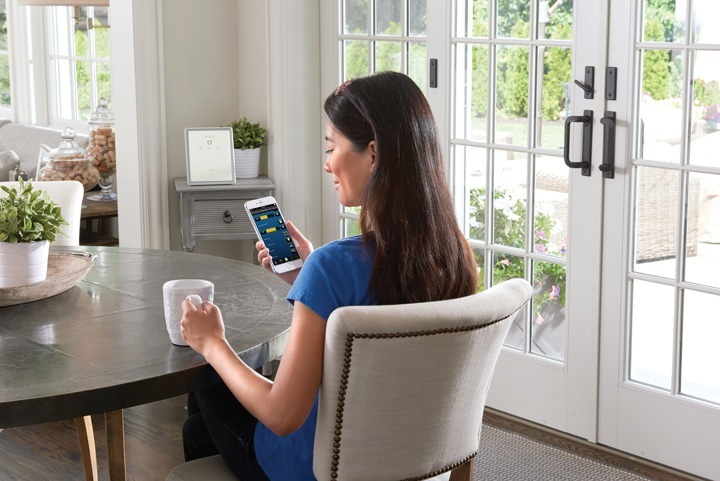 Control your security system and home automation functions, view live video and receive email and video notifications anywhere in the world on mobile devices. Get location-based weather, traffic and news delivered right to the touchscreen. Get tornado alerts delivered automatically to the touchscreen based on your zip/postal code. options that work for your lifestyle and budget. Keypad, (3) Door-Window Contacts, Key Fob, Automation Module and WiFi Module. Keypad, (3) Door-Window Contacts, Camera (indoor or outdoor), Key Fob, Automation Module and WiFi Module. (Security, Automation & Cameras) Keypad, (3) Door-Window Contacts, (2) Cameras (1-indoor & 1-outdoor), Key Fob, Automation Module and WiFi Module. Choice of Indoor or Outdoor Camera. 1 One camera displayed on the touchscreen using compatible TruVista Total Connect cameras. 2 App available for a nominal fee in the Apple® iTunes® App Store or Google Play Store. 3 Additional equipment required. Not compatible with certain garage doors and garage door openers. Garage door control must have working entrapment protection. Contact your security professional for details. 4 Excluding fire or carbon monoxide alarms. Apple and iTunes are registered trademarks of Apple Inc. All other trademarks are property of their respective owners. Your form was successfully processed. We'll get back to you as soon as possible, thank you!